During the summer of 1565, the Ottoman Empire laid siege to the island of Malta in the Mediterranean. Vastly outnumbered, the Knights Hospitaller and local Maltese defenders withstood the siege for nearly four months until a relief force arrived in early September. The victory became one of the defining moments of sixteenth-century European, celebrated across the continent. Soon after, Jean Parisot de Valette, the Grand Master of the Knights, commissioned the construction of a fortified city on the island to discourage future attacks. In Valletta, you contribute to this city’s construction, competing to score the most points by gathering resources and constructing buildings. Players have a variety of tools at their disposal to achieve victory. As the game progresses, construction projects earn players new cards with a variety of powers that they may add to their decks as they compete to be the most successful builder. Among these cards are several actual historical figures who played a role in Valletta’s construction. Some of the most powerful cards in the game, these cards offer lucrative bonuses to whoever holds them. Of these characters, Jean Parisot de Valette himself takes center stage, playing a pivotal role in each game. Today, we’re taking a closer look at his impact on the game of Valleta, and the history of Malta. Jean Parisot de Valette personally laid Valletta’s foundation stone on March 28, 1566, beginning a period of rapid growth across the island nation of Malta. 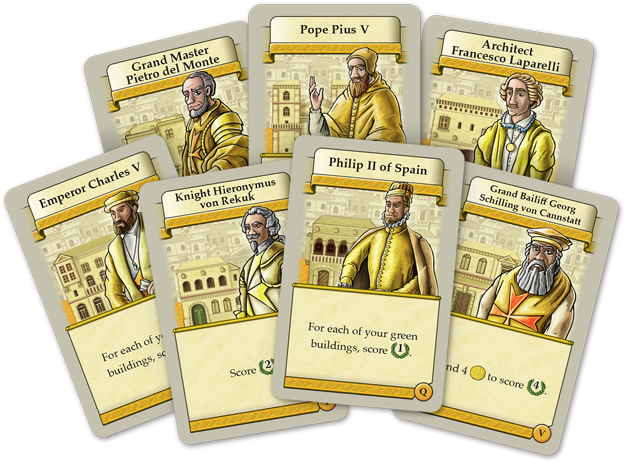 Of the many historical figures in the game, including Emperor Charles V and even Pope Pius V himself, Jean Parisot de Valette is the only one impactful enough to be represented as both a card and a figure on the board. He takes to the streets alongside the player figures to oversee their construction projects, and his very presence opens many opportunities for the players to capitalize on. Most immediately, Jean Parisot de Valette’s positioning on the street board makes some areas more desirable to build than others. 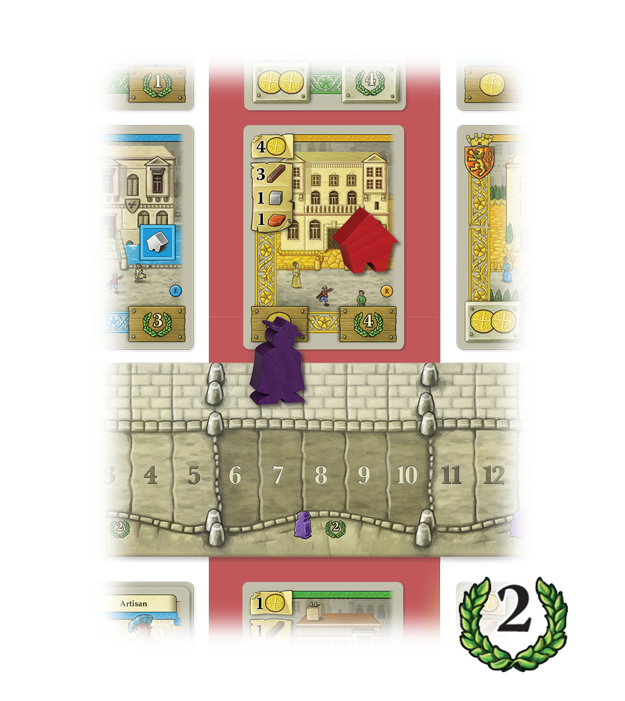 If a player manages to construct a building in the same area as the Jean Parisot de Valette figure, they immediately score two points. This could prove challenging in the early stages of the game when resources are scarce, but steadily growing your resource pool and carefully planning construction to coincide with de Valette’s presence can be the difference between victory and defeat. 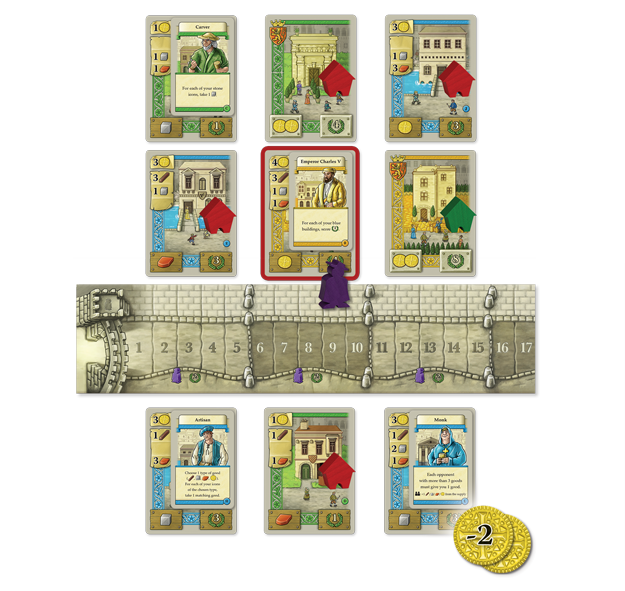 Additionally, Jean Parisot de Valette’s position also allows players to exploit other building advantages. For example, when a player builds a building that is vertically or horizontally adjacent to one or more of their own buildings, they receive a discount of one gold for each of their buildings adjacent to the building being constructed. Taking advantage of these interlocking systems is key to success in Valletta. Jean Parisot de Valette provides many other benefits for enterprising players. Although it might seem simple to use, his card is one of the most powerful in the game. 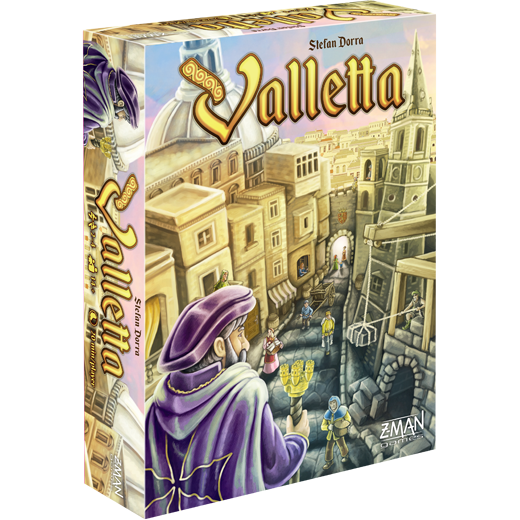 When a player plays de Valette’s card, they immediately move the de Valette figure one space up the street board and then claim the barrel token in that space. These tokens provide valuable goods for future building projects or—if you’re lucky—could grant you the last good you need to immediately construct a new building. While appearing straightforward, when used carefully in conjunction with other cards, de Valette can produce potent results. For example, a player might play the Woodworker card to gain the wood they need to construct a building, then use Jean Parisot de Valette’s card to advance his figure to a new area. Then they could play the Builder card to construct a building in the area Jean Parisot de Valette just moved to, earning two bonus points. 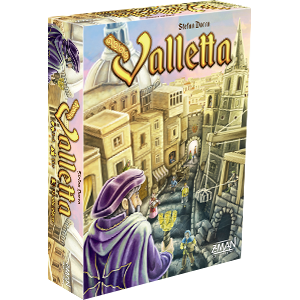 Finding and exploiting such synergies between cards is at the heart of Valletta. Players must plan ahead and play quickly, because the end of the game will trigger as Jean Parisot de Valette moves onto the final barrel at the end of the street board. The card of Jean Parisot de Valette plays a unique role in every player’s deck, offering them many options to develop their strategy. The above listed strategies are not the only way to use his abilities. 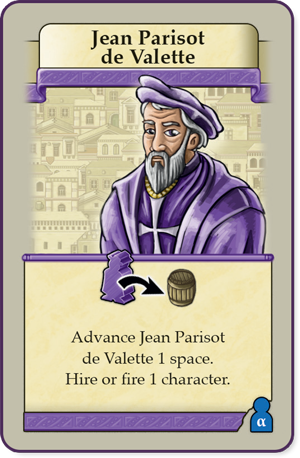 Playing Jean Parisot de Valette also allows players to hire or fire character cards, adding them to or removing them from their player deck. Other than completing buildings and claiming the cards on them, hiring characters with Jean Parisot de Valette is the only way to add new cards to your deck. This makes him a powerful force in shaping your future strategy. Today, Valletta remains a bustling and important port. Many of the fortifications put in place nearly 500 years ago are still standing. Sadly, Jean Parisot de Valette never saw the completed city bearing his name. He died suddenly on August 21, 1568, two years after construction began. His legacy lives on in the city, which became known for its beautiful palaces and gardens, eventually earning the nickname “Superbissima” — “Most Proud” — from the ruling houses of Europe. It is still the capital of Malta today. Step back in time and join Jean Parisot de Valette during this exciting time in history with Valletta, available later this summer!